Buddy Holly poses for a portrait circa 1958. On the 60th anniversary of his death, Holly's Lubbock, Tx. classmates remember the young talent. On Feb. 3, 1959, at only 22 years old, Buddy Holly left this world as one of the founding fathers of rock and roll. Now, 60 years after the crash that killed Holly, Mexican-American star Ritchie Valens and The Big Bopper — or "the day the music died" — Holly's high school classmates from Lubbock, Texas, remember the young musician in the years before his rise to fame. "I thought 'Oh my goodness, that's not very good music,'" Dotts says. George Nelson, another Lubbock High choir member, also enjoyed songwriting back in the day. "But I didn't have anywhere near the talent that Buddy had," Nelson remembers. "He was just innately endowed with it, and he could play." In 1953, Nelson and Holly faced off in a song contest. Nelson's tune, "Someday You'll Pay," won. "It's the only thing that I've got in my life that I could brag about," Nelson says with a laugh. At the time, rock and roll was just starting to shake up the nation. But Holly was "strictly country," according to Larry Byers, a former DJ in Lubbock who heard Holly's early performances live on local radio and at venues around town, "until he saw Elvis Presley and decided that maybe he should change his style a bit." Rock and roll got an especially cold reception in Lubbock at the time. Nelson remembers preachers regularly smashing vinyl records or using cars to crush them. Local teenagers who wanted to listen to rock and roll would circle their cars out in cotton fields, blast the radio and dance. Nelson recalls that the conservative people in Lubbock "thought the young people were going to hell." Dotts says Holly's hometown was slow to realize who they'd lost. "[He] certainly put Lubbock on the map," Dotts says. "It took them a long time to finally step back and recognize." 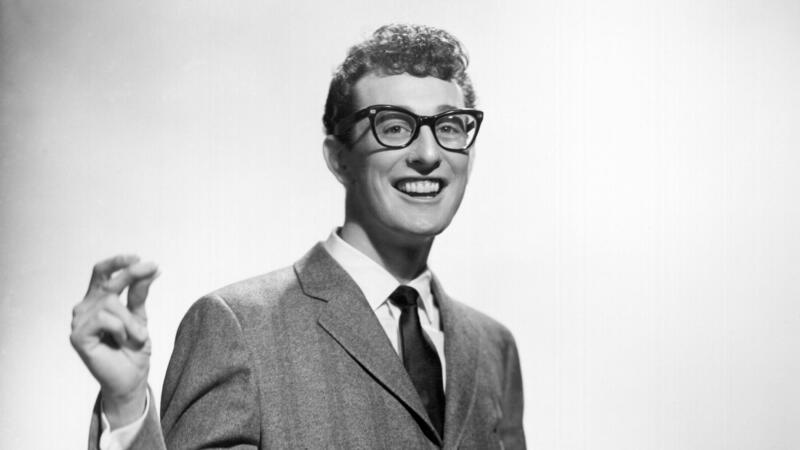 It would be almost 20 years when the 1978 movie, The Buddy Holly Story, was released before the city came around. Today, Holly has a park with a bronze statue of him, and a street and a museum named after him in Lubbock. The Crossroads of Music Archive at Texas Tech University also houses the research of the late music historian Bill Griggs, who assembled a thorough accounting of Buddy Holly's life — every day of it. Lubbock is still making up for lost time. Construction is underway and the Buddy Holly Hall of Performing Arts and Sciences in the city's arts district and its slated for completion next year. Not a bad legacy for a guy whose classmates didn't think he'd amount to much musically. HOLLY: (Singing) That'll be the day when I die. Transcript provided by NPR, Copyright NPR.